My friend Peter has almost a decade of experience with PHP and Java. Working as a software developer is his dream job, and Peter's making good money. Has he been getting fewer inquiries about his "bread and butter" backend languages lately? Hi, my name is John Sonmez. I'm a professional software developer and developer coach with more than 17 years of experience. My mission with Simple Programmer is to help programmers like you develop the skills you need to keep ahead of trends and maximize your career options. was no danger to them? It only took 2.5 years for the iPhone to completely obliterate BlackBerry and J2MEE phones. Now these platforms practically don't even exist anymore. Neither do those jobs associated with them. 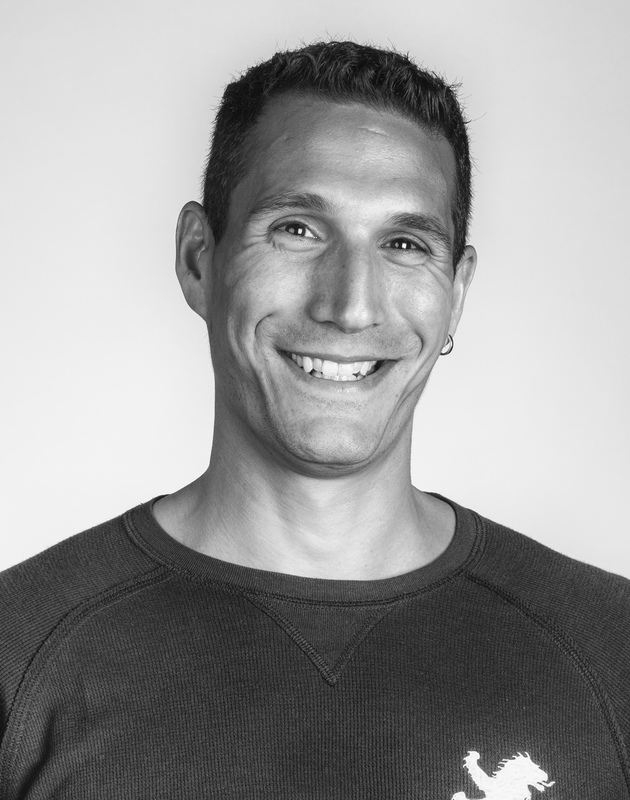 The upending of the mobile development industry didn’t affect devs like Peter that much—his job was “safe” since he was more of a back-end guy. That’s changing though—and it’s happening fast. as Node and Angular emerge"
That’s why Peter—and countless developers like him—can't seem to shake off the feeling that there's another "landmark shift" about to happen in the industry. In fact I'm going to make a bold prediction to you here. As I mentioned earlier, I’ve been a professional software developer and developer coach for nearly two decades now. In that time I’ve seen dozens of technologies come and go. And today as a mentor to more than 1.4 million developers each year through the Simple Programmer blog and YouTube channel and high-paid consultant to companies like Hewlett Packard and Verizon. You could say I'm close to the pulse of the industry. Closer than most other people in software development. I'm not saying any of this to brag—I just want you to take seriously what I'm about to share with you next. 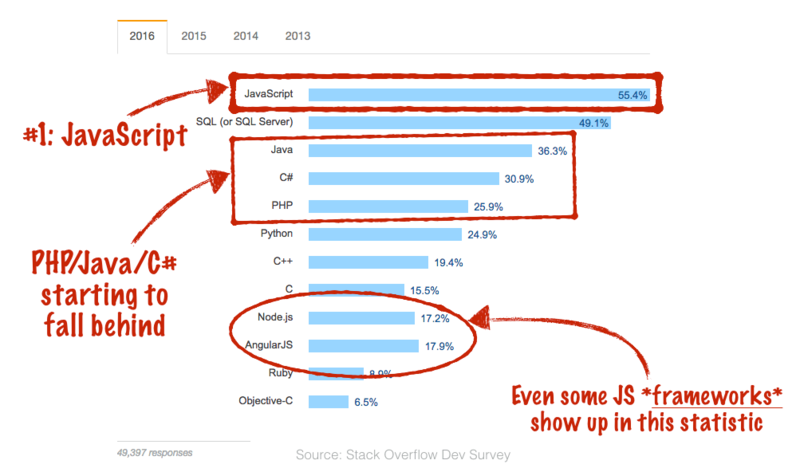 Because the odds are sharply in favor of another landmark shift happening in the software development world. similarly to the "mobile revolution"
Only this time it won’t be just the BlackBerry developers who take the hit—I'm expecting it to affect GUI and back-end developers across the board. Right now, seasoned developers like Peter still have the upper hand. Companies are still hiring Java, .NET and PHP developers. The time to take action on this is NOW. JS as a language has some "warts" and odd concepts, which means if you expect it to work like your favorite backend languages you’re headed for trouble. "With JS, it's like solving a puzzle, the rules of which you don't even know." "Learning JS? I f***ing hated it, this is like a nightmare sort of like the one where you are constantly running backwards and you are always late to wherever you have to go to." but I don't know what 'this' is." Proliferating frameworks and "re-inventing the wheel" disease can be incredibly frustrating when you're stuck up to the neck in it and just need to get stuff done. Take a dictionary, open it on a random page, and pick a random word. The winner is the last person to go to the hospital with alcohol poisoning. Those developers are making a HUGE gamble with their careers. Or will you just tie yourself to the tracks and hope for the best? Now if I’m right about this—what does that mean for experienced developers like Peter? Because let’s be honest—you have too many responsibilities to just hole up for a few months to learn a new technology from the ground up like you could 5-10 years ago. Instead you want a way to absorb the critical information you need in a way that’s faster, smoother, and more enjoyable. 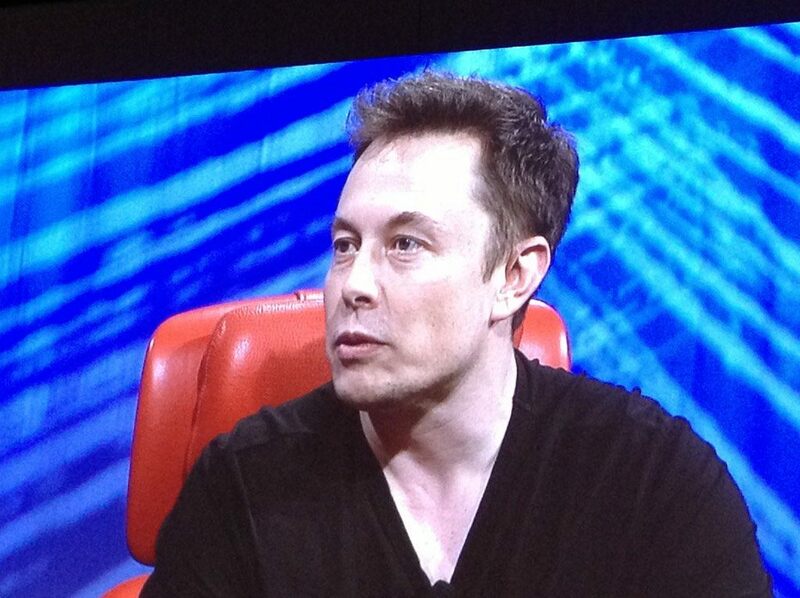 Elon Musk is one of the most successful tech entrepreneurs today. "I think it's important to reason from first principles rather than by analogy. And then reason up from there." What Elon is suggesting here is very smart. By starting with the “first principles” you’re building a solid foundation that all your future knowledge can rest on. And focusing on those few core fundamentals of the language that are the key to developing deep, lasting expertise. This is an approach I’ve promoted since Day 1 here at Simple Programmer. Progressing through the course, you’ll quickly build up a comprehensive knowledge of JS at your own, comfortable pace. Along the way, you’ll work through code examples that reinforce the principles that you’re learning. Quickly learn a difficult skill: How great did it feel the last time you figured out some complicated technology obstacle? With this course you will make quick progress that will keep you engaged the whole time. Tony Alicea has been programming since he was 12 years old, and got into web sites and web application development at 16. 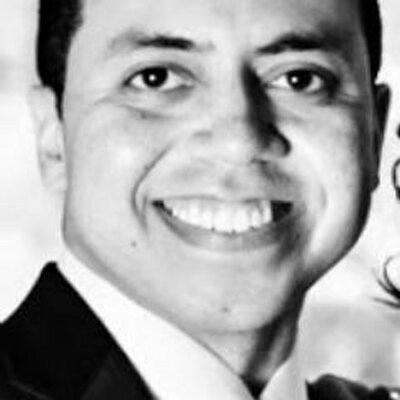 After graduating with a Computer Science degree from Case Western Reserve University, Tony continued with that interest as a Microsoft certified software application developer and architect, database designer, and user interface designer. 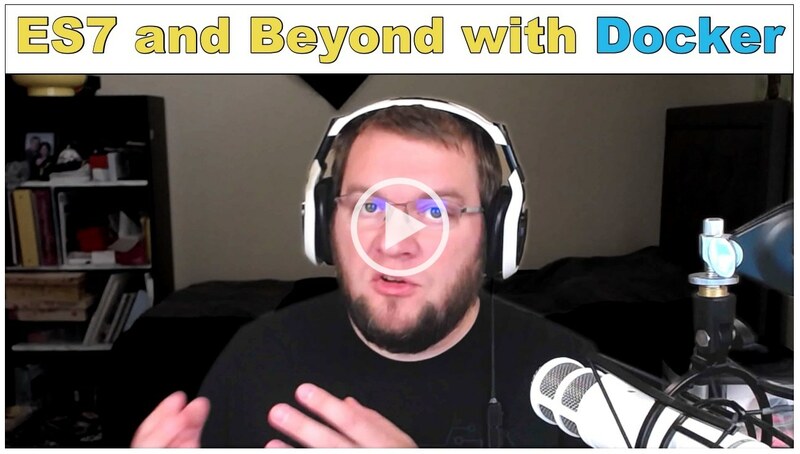 He believes strongly that deeply understanding any topic allows you to properly learn it and, even more importantly in a real-world environment, quickly overcome problems. He has found that those that learn purely by example, and not by understanding, end up much more limited than they need to be. "Examples need to be built on top of context, and once you have context, you can not only copy the examples you find, but adjust and improve upon them." Module 1 – Getting Started: You'll get a quick overview of the course and the rundown of the course curriculum. This helps prepare your "mental map" of what you're going to learn in the course so you can retain that knowledge more readily. 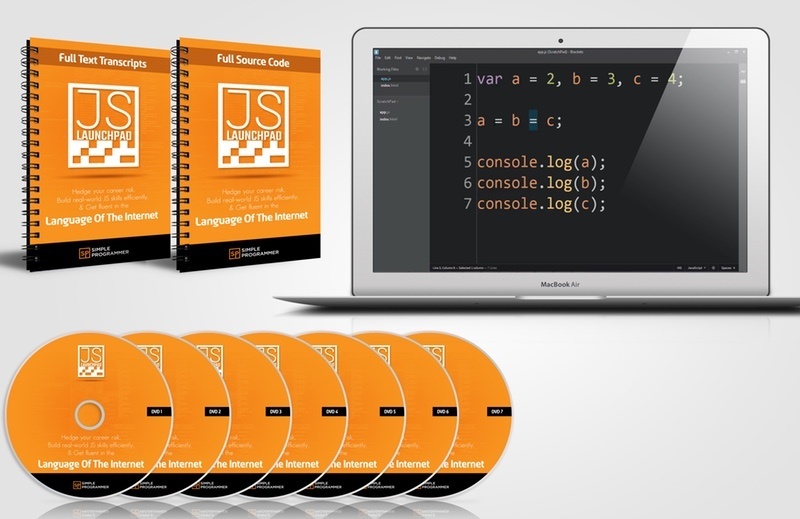 You'll also learn how to set up your JS coding environment from scratch. To help you deepen your mastery and expertise in this fast-growing language, Tony and I have put together several additional bonuses that perfectly complement to this course. We've already done that work for you and you get 46 ready-made individual .js code samples included with the course package. This package is valued at $98—you get it at no additional cost. It’s a “one-stop shop” for the cutting-edge development skills that startups and hiring managers are hungry for. With this course you’re making the smartest kind of investment there is—an investment in yourself. And this is an investment that could easily pay you back 10X to 100X in the next year. That might sound over the top, but it’s actually pretty realistic. With your hot new skillset you’ll have access to a whole slew of new job and promotion opportunities, many paying top-of-market rates. Many developers are moving up into positions paying $2,000, $5,000 or even $10,000 above their previous salary. Even though the “return on investment” for this course is excellent, I wanted to price so it is affordable for *all* of the developers in the Simple Programmer audience. To put that in perspective, that's less than what you might pay for a decent SSD. And as an investment in yourself and your career as a developer it will pay off many times over. Here's What's "In The Box"
Then take up to a 90 days to grow them. And if for some reason you don’t agree that we’ve given you a faster, easier way to absorb the knowledge you need to rise head-and-shoulders above other developers, we will cheerfully refund your money, no questions and no hassles, any time within the next 90 days. Either way, all the risk is on us. "skate where the puck is going?" By "skating to where the puck is going" and learning a more marketable skill set you can raise your profile as a developer. It's a "batteries included" solution to attaining the JS skills you need to take advantage of this wave of new jobs and software development work that's coming down the pike. All of the developers featured in this package are contributing their expertise on a day-by-day basis. And because of that, I can't guarantee this offer will be around tomorrow. However, if you get in on this deal right now, you'll have *guaranteed access* to *all* of the bonus content I listed earlier on this webpage. Don’t miss your chance—get in on this deal while you still can. You'll start picking up each concept step-by-step, and build up a comprehensive knowledge of JS. All at your own pace. You'll cut out all the wasted time and effort spent on chasing down a working roadmap for growing your skills. You'll get the confidence you can pick up this new technology and OWN it—quickly and efficiently. 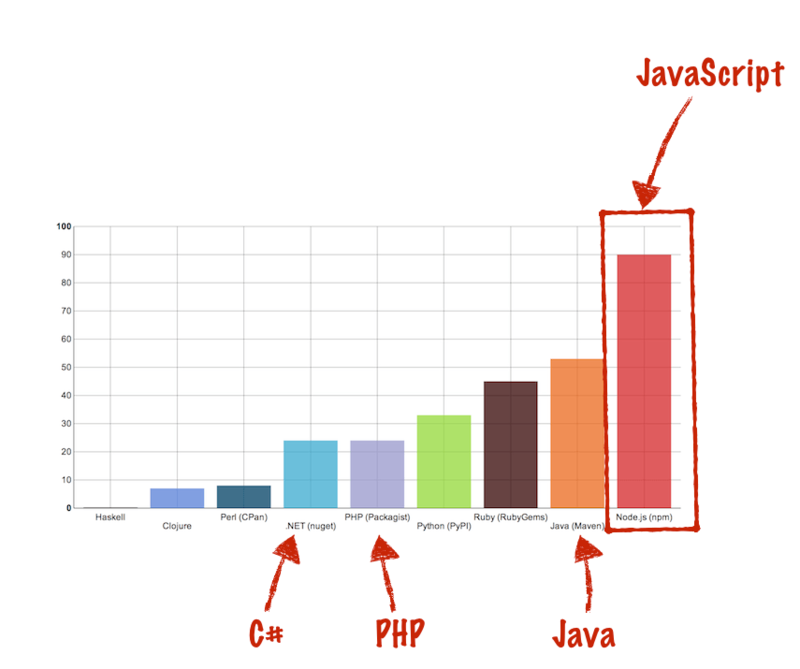 And you'll finally be free from the nagging thought that Java/PHP/C# are losing their momentum, because you'll know you can easily handle the next big transition in this fast-changing field.